Cleeng DRISC enables us to control the session of a given user consuming online video content. Together with the existing Cleeng security solutions, this tool guarantees that revenues will not be compromised by fraudulent activities. Just before one of the biggest conference in the broadcasting world, we are excited to introduce Cleeng DRISC – our new technology designed to take down access to streams involved in fraudulent or abusive behavior. How big of a problem is video piracy? Illegal streaming sites were visited 77.7 billion times in 2016. The most recent example states that Floyd Mayweather’s fight against Conor McGregor on Saturday night is estimated to have been viewed by nearly three million people via 239 illegal streams, digital platform security company Irdeto. Frost & Sullivan’s recent analysis, Global Content Protection Market, Forecast to 2021, finds market revenues will grow from nearly $1.7 billion in 2016 to just shy of $2 billion by 2021, at a compound annual rate (CAGR) of 3.4 percent. 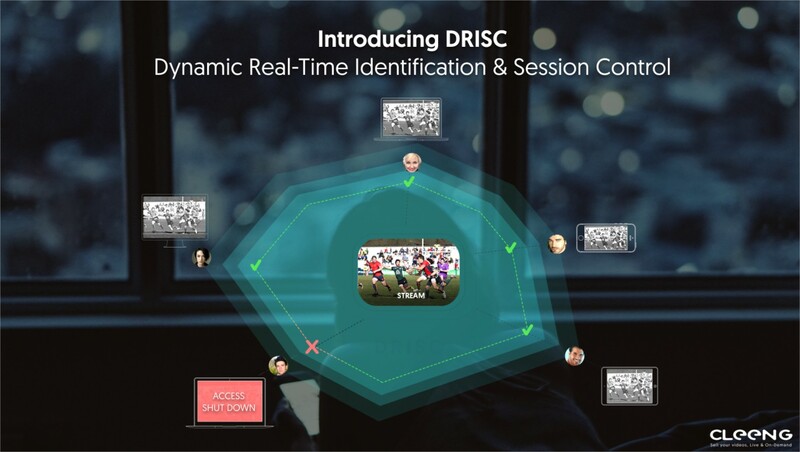 DRISC stands for Dynamic Real-Time Identification & Session Control. It is our new technology that enables Cleeng as a technology provider to control the session of a given user consuming online video content. With it, you can eliminate the access for specific users that stream your content illegally. Together with the existing Cleeng security solutions, this tool guarantees that revenues will not be compromised by fraudulent activities (like screen grabbing, account sharing etc). On top of that, handling this kind of fraud would translate into increased trust and credibility among viewers. How are fraudulent or abusive users identified? Cleeng DRISC works like a charm together with Cleeng Tattoo and our other video security technologies. Tattoo enables the broadcaster to detect and collect information about the illegal streams. DRISC acts as a perfect supplement to Tattoo. This means that provider can use the gathered information about the fraudster and can shut down the stream immediately. It’s worth mentioning that the Cleeng security solutions tend to foster responsible viewer behavior. Our master goal is to educate viewers about piracy and the value of paid premium video. shut down access instantly when fraudulent behavior is detected.